The announcement follows a month of trials and training which saw the original 76 players downsized to 27 and then to 25, the size of the final squad. Of the total 20 are named in the contingent that will travel while five are home-based reserves. The final list was presented to the SIFF general secretary on Friday but the list was held up until the position of team manager was filled. A decision was then made to appoint Gideon Omokirio as the team manager and Batram Suri was called in to assist Luke Eroi who is the confirmed head coach for the team. Head of the selection panel Noel Wagapu said that the selectors have come up with a very good squad from a generation of skilled soccer players and he is confident about the prospects of Solympics in the upcoming competition. 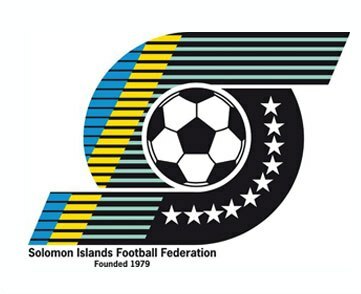 “There are very good players in the Solympics team and I believe that they are the right bunch to represent Solomon Islands at the qualifying competition. We worked with top class players throughout the trials and in the squad are the best of the best in Solomon Islands,” Wagapu said. Interestingly no overseas based players have been named in the final squad despite several worthy candidates attracting attention from New Zealand. Team manager, Gideon Omokirio, says that the management is thoroughly satisfied with the quality of players currently in the squad and they are more interest in team rather than individual talent. “In this squad we have selected players whom we are able to monitor on a daily basis, hence, we know how best to utilise them in the team. We have good players overseas but it is a matter of team and we need players who understand how we want to play,” Omokirio said. Silas Seda has been named as the first choice goalkeeper while his second is Peter Kiriau. The duo held goalkeeping positions in the same order in the 2011 national U-20 team. Seda and Kiriau are Telekom S-League regulars as number one goalkeepers for their clubs. Former LEARN&play student, Polycarp Bonave, is named as the non-travelling reserve goalkeeper along with Samson Koti. Newcomers Israel Koti, Francis Lafai and Emmanuel Poila join the experienced trio of Freddie Kini, Christopher Tafoa and Michael Boso in the defence section. A key feature of this backline is height and Poila, Tafoa and Boso are expected to mount a strong aerial defence against teams like New Zealand who often break through defences with long floating passes. Hana’s energetic midfielder Jeffery Henry is among the players named in the most crucial department in the team. His strong ability as a utility midfielder found great favour with selectors and the former futsal player is expecting his first cap for his country in the qualifiers. Another interesting decision in the department is the inclusion of Tutizama Tanito as a midfielder. Tanito is known widely as a striker but in this team he has been picked in favour of his qualities as a wing player rather than as a goal scorer. No U-20s made the list of strikers as fierce competition from older and more experienced players saw them all exit in the trials stage. Solomon Bonitos striker Ian Paia and futsal maestro Micah Lea’alafa join Carroll Kakate and Tony Otini in this department in a bid by the management to utilise the experience of these players to get the goals. OFC last week conducted the draws for the men’s Olympic qualifier and Solympics are grouped along with Fiji, American Samoa and Vanuatu. New Zealand have a much more easier path in Group B where they are grouped with Papua New Guinea and Tonga. The Solympics first match is on Friday 16th March against Fiji.